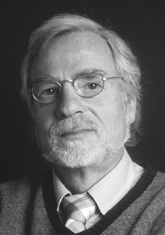 MICHAEL WERNER was born in 1949, and holds a PhD in Chemistry. He has worked in the chemical industry as well as pharmaceuticals, and has taught chemistry and biology to secondary school students. For the past 15 years he has been managing director of a cancer research institute at Arlesheim, Switzerland. Since the publication of this book in German, he has embarked on an ever-increasing schedule of lectures and a lively correspondence with numerous individuals.